Please call for available colors. 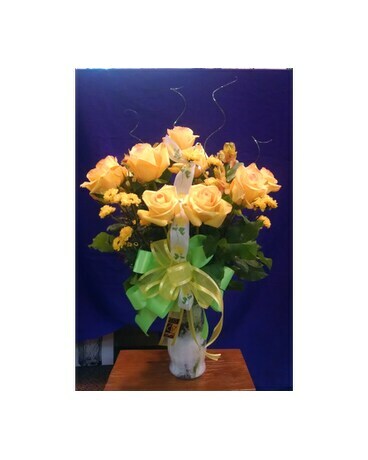 Yellow roses shown. Please call for available colors.